The introduction of advanced transformer diagnostics allows performing a reliable assessment of technical condition and presentation of the expertise with recommendations for further operation of the unit. The lifetime of the transformer is determined by the technical condition of its insulating system, in particular the solid cellulose-based insulation. It is well-known that the lifetime of the transformer is expressed by lifetime of paper, used for its insulation. Natural process of thermal degradation of the cellulose, taking place during the operation, mainly leading to the reduction of its fibers length, causes deterioration of insulation mechanical properties, and only in a small extent the decrease in electrical strength of oil impregnated paper. 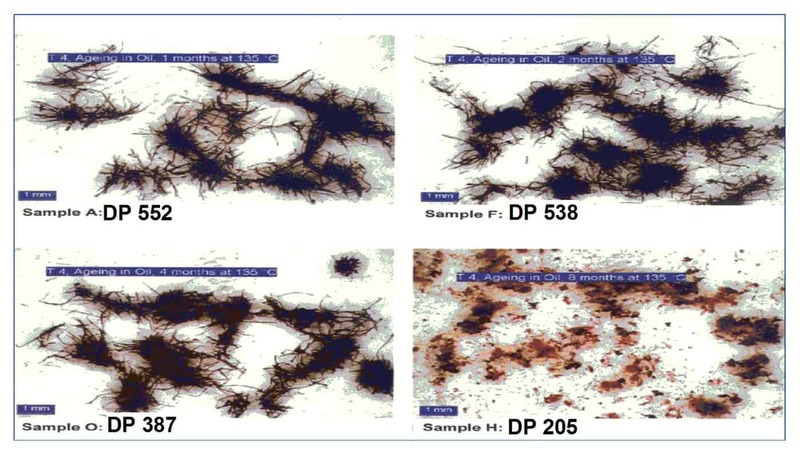 The experience gained in operation has shown that when the average degree of polymerization DP of the cellulose in the paper-oil insulation drops below 400, such insulation loses all mechanical properties. and only about 1 year for 140°C. Similarly, each twofold increase in the moisture content of paper insulation shortens its lifetime by the half. 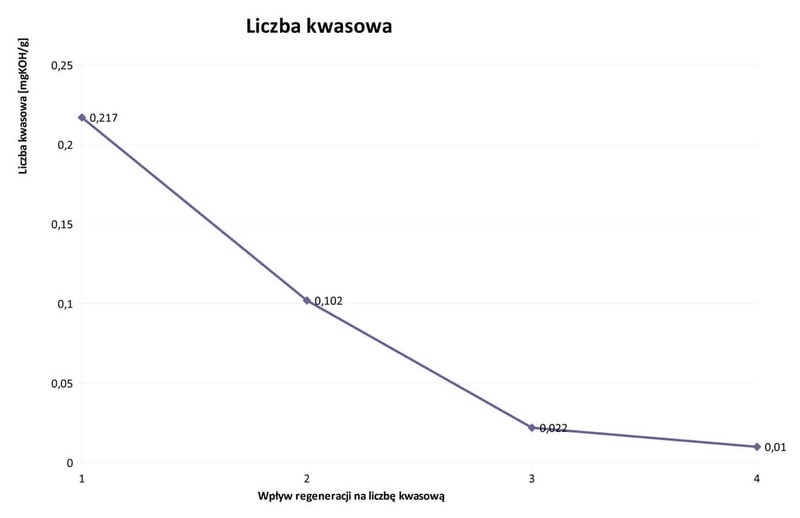 The increase of water content in paper from 0.5% parts by weight to 1% parts by weight shortens the lifetime of the insulation by half, while 2% content in parts by weight decreases it four times. 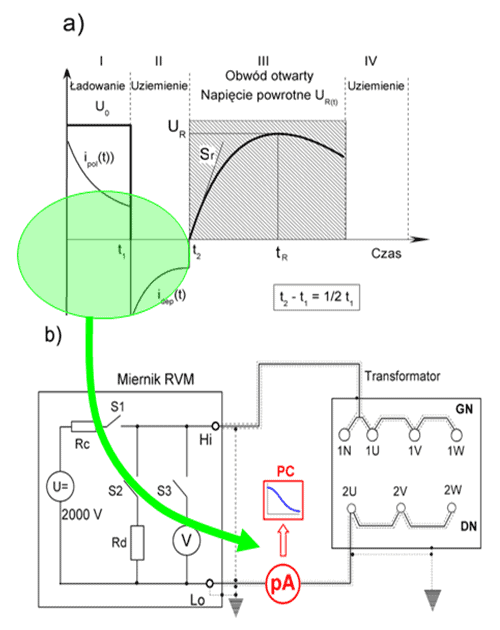 The loss of the cellulose Young’s modulus, and hence the decrease of the initial compressive forces changes the winding short-circuit strength of the transformer’s active part. Therefore, in the case of oil-paper insulation with developed aging processes even relatively small short-circuit current during energization becomes dangerous and can easily deform or move windings. Consequently, in many cases, this results in weakening the insulation and catastrophic failure of the transformer. High level of moisture content in the insulation system of the transformer leads to a risk of so-called bubble effect. This involves a rapid release of moisture from the solid insulation in the form of steam bubbles due to a local temperature increase in the insulation. Usually the bubble effect is initiated by a short-circuit currents or overload of the transformer. The evaporation of water is accompanied by a pressure increase inside the tank which can cause structural damage to the transformer or, at best, tripping gas-pressure relay. In the case of high voltage transformers there is also increased risk of direct internal short-circuit caused by the lowering of the dielectric strength of the insulation system. For insulation moisture content excessing 3% the initiation temperature of the bubble effect is so low that it becomes necessary to reduce the operating temperature of the transformer and thus also reduce the allowed load. However, even in such conditions short-term overload is connected with a high risk of failure. Therefore, the control of the moisture content level in paper-oil insulation and maintaining it below a critical value (approx. 2.5%) is the key condition for long transformers operation. The process of shortening of the main cellulose chain is accompanied by the release of end groups and the formation of low molecular compounds such as water, carbon oxides, hydrocarbons, hydrogen, and also compounds of complex structure, including furan compounds. The specific products of cellulose aging are furans, particularly the most abundant furfural aldehyde 2FAL. Generation of furans during cellulose aging leads to their accumulation in the oil without transfer outside. Therefore, the determination of furan compounds content in the samples of electroinsulating oil allows estimation of the degree of cellulose insulation deterioration expressed in the decrease of the polymerization degree DP. Older transformers are usually filled with degraded insulating oil in which the products of degradation with fragments of cellulose create the suspension of solid compounds. This suspension, creating deposits in the form of sludge on the windings, significantly decreases the heat transfer that consequently lowers the load of the transformer and speeds up the kinetics of cellulose degradation. The statistical data from many countries show that about 40% of catastrophic transformer failures are caused by damage to the bushings. At the same time there is reported an excessive failure rate of relatively new constructions, especially with RIP insulation. Research conducted with help of our company has shown that the basic causes of the rapid decrease in the technical condition of the OIP bushings is the internal pressure increase due to the bubble effect, while in RIP and RBP bushings it is a thermal aging of the core material. The experience of ENERGO-COMPLEX shows that just two hot seasons of spring and summer are enough to increase the degree of thermal insulation aging of RIP or RBP bushings to a critical level. Therefore, the ability to identify early stage of its development is an extremely important element in reducing the failure rate of transformers in operation. From the analysis of the nature and consequences of these processes it can be stated that traditional measurements of tgδ at 50Hz are no longer a meaningful indicator of early stage of defects development, so there is a need for more sensitive methods of their identification. On the other hand, the operators need methods of measurement, which would allow diagnostics of bushings without a need to disconnect the transformer from the power supply. The above brief description of the main operational problems shows that there is a need to introduce, apart from standard and basic measurements, also advanced diagnostic systems of transformers that allow identification of aging processes at different stages of their development. In this range, Energo-Complex offers a complete set of diagnostic technologies to enable a full assessment of the technical condition of the transformer, to estimate the risk of further operation, as well as to determine the recommended regimes of operation. The most of them are original, developed by Energo-Complex and the West Pomeranian University of Technology, integrated measurement methods that identify defects on the base of various physical processes. Their main advantage is more precise evaluation of the technical condition of the transformer while maintaining a reasonable time to perform a complete diagnostic procedure. Estimation of insulation moisture content on the base of Oommen curves. 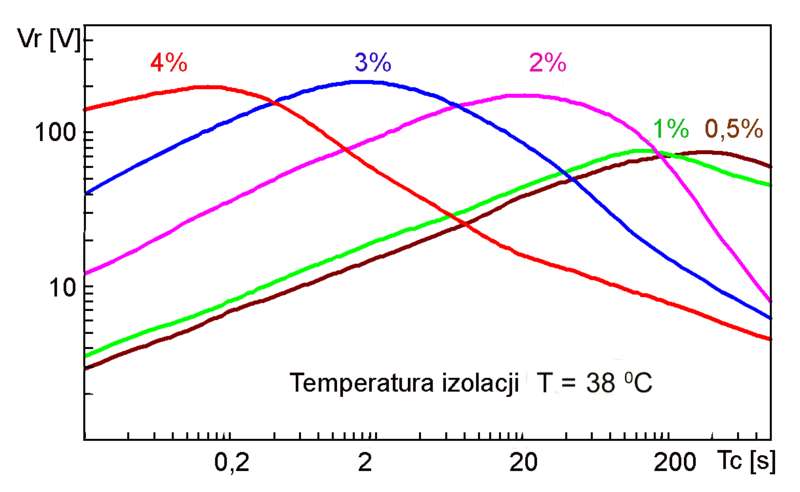 The change of the oil moisture level from 8 to 20 ppm corresponds to a change of insulation moisturization from 2.5% to 5.1%. 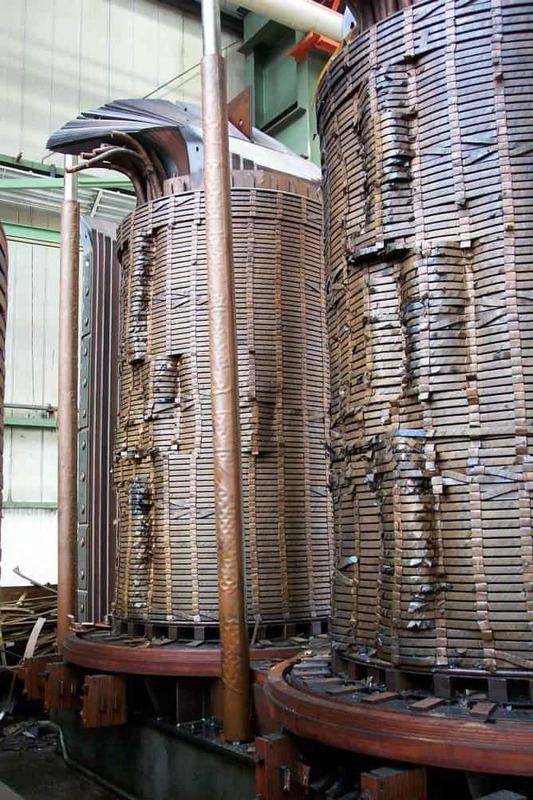 The process of the transformer insulation moistening due to absorption of moisture from the surrounding atmosphere, and the in the process of cellulose degradation, takes place continuously for many years. Therefore, it becomes necessary to systematically monitor the amount of water stored in the cellulose insulation. Elements of solid insulation contain about 95÷98% of the total water amount present in the system of paper-oil insulation. The amount of water accumulated in the paper-oil insulation practically determines the amount of moisture in the oil. With changing the operating temperature of the transformer there is a continuous exchange of water between cellulose and oil, which further affects oil’s moisturization. 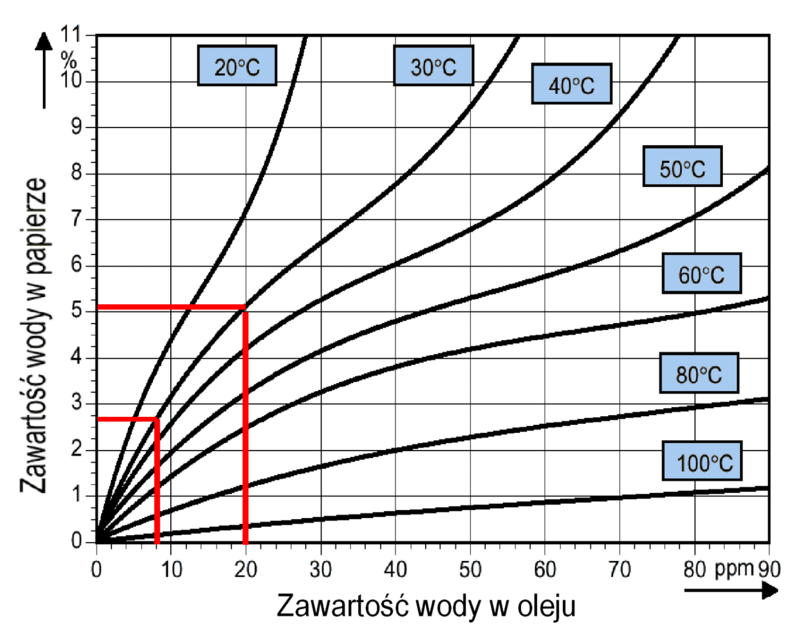 The lack of thermodynamic equilibrium of moisture concentration between the paper and the oil and too low resolution of KFT test method leads to the fact that popular tests of water content dissolved in the oil in order to determine the insulation moisturization are ineffective and subject to an excessive error. Significant uncertainty of insulation moisture content estimation on the base of oil tests and measurements of dielectric losses coefficient tgδ at 50 Hz make it necessary to introduce more sophisticated methods for determining the amount of water stored in the elements of solid insulation. In this field ENERGO-COMPLEX uses three complementary methods that are based on analysis of polarization phenomena in frequency domain (FDS) and time domain (RVM) and also on estimation of DC conductivity (PDC method) of the impregnated paper and pressboard, which are the basic components of the system insulation. Dielectric losses coefficient tgδ is determined by dividing the values of active current of losses Ir and capacitive current Ic present in the dielectric under applied AC voltage. By definition tgδ is a measure of quality factor and in the case of the ideal dielectric material with no losses has value zero. When the quality of a dielectric is worsening (thermal aging, adsorption of water) this coefficient increases. From this reason for many years tgδ measurement is used to assess the technical condition of insulation systems, including paper-oil insulation. Usually it is measured at frequency of 50 Hz or 60 Hz. 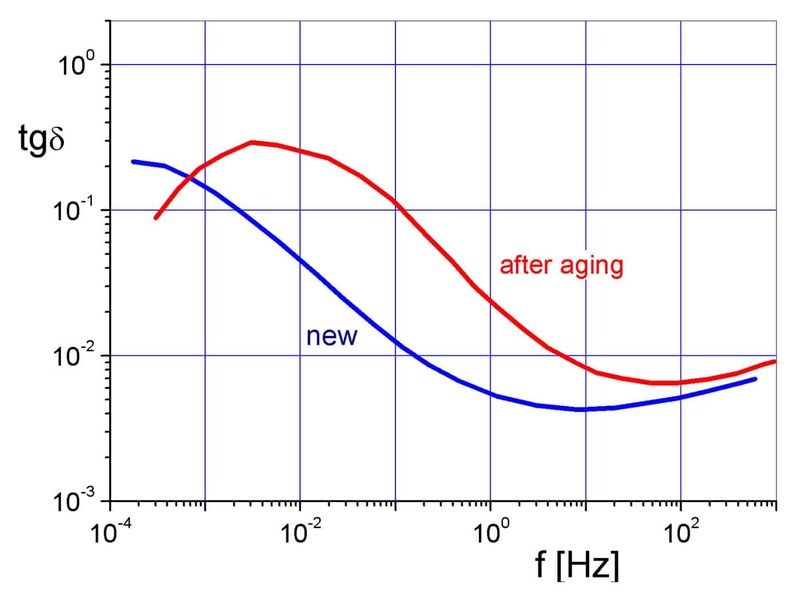 However, many years of diagnostic experiences have shown, that values of tgδ 50Hz are not very sensitive indicator of morphological changes in the insulation and identify only the highly developed process of aging or moisturizing. The value of losses power (current Ir), and therefore tgδ, in a real dielectric is highly dependent on the frequency and morphological structure. Therefore spectroscopic measurements in the frequency domain (FDS) of capacity and tgδ coefficient make it possible to identify various defects in the insulation, including the degree of ageing or moisture content. For the assessment of the moisture content in paper-oil insulation the most useful range are low and ultra-low frequencies from 1000÷0.0001 Hz. FDS measurements with high accuracy determine the average water content in the transformer insulation, and also help identify the presence of sediments on the windings. 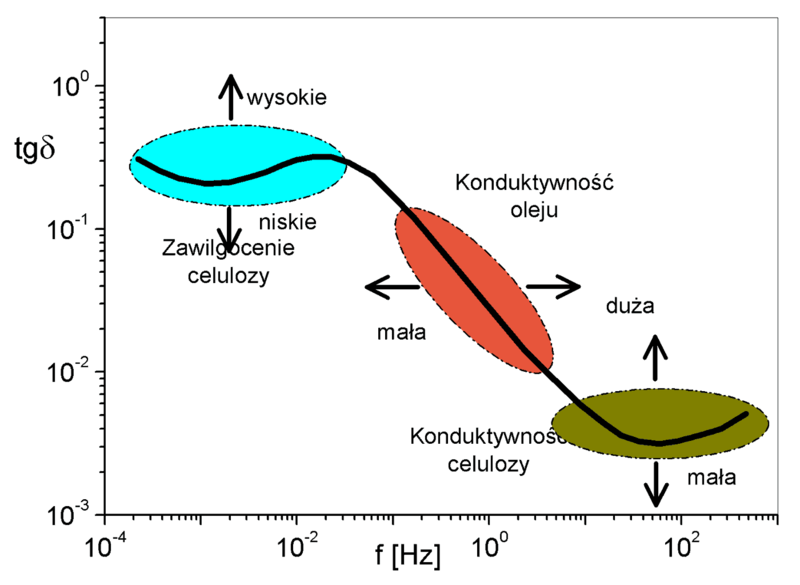 Dielectric subjected to constant electric field is polarized in accordance with a relaxation curve (the response). Usually, the process of depolarization follows the same function. The shape of the relaxation function depends, i.a. from the structure of the dielectric, its defects, moisture and temperature. 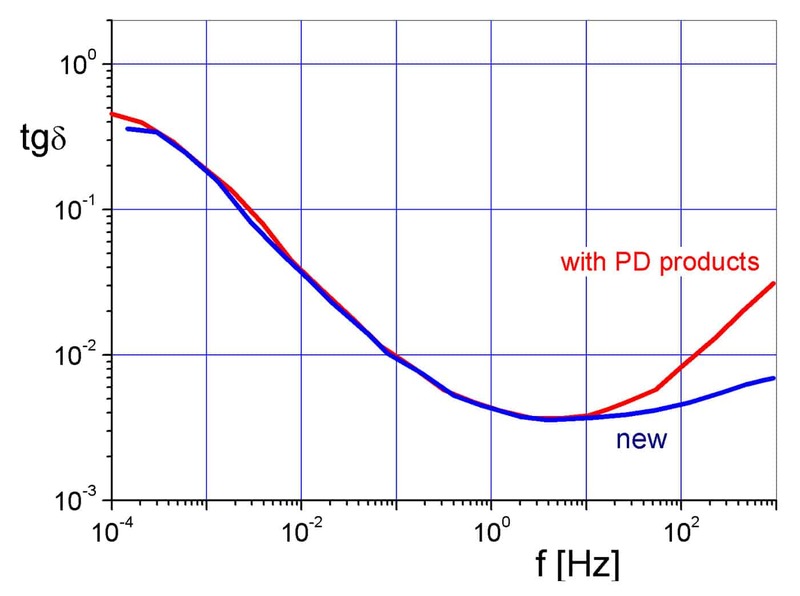 When the time of depolarization is shorter than the polarization time, in the dielectric remains a residual induced charge, which produces the so-called return voltage of a value equal to the quotient of the charge and insulating system capacity. 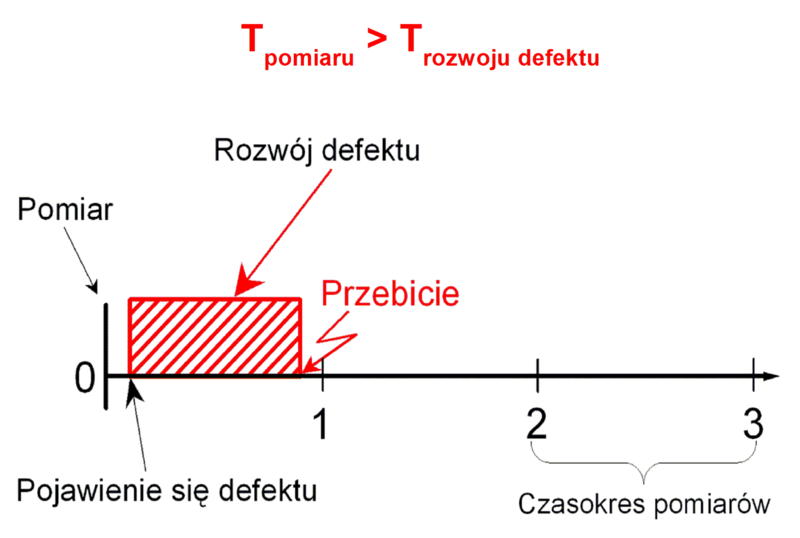 The recovery voltage also depends on the time of polarization and depolarization. There is however a time of polarization, corresponding to time constant of the rotation of dominant domains and dipoles for which return voltage has the highest value. The determination of relaxation time of the dominant polarization structures is the basis of the method RVM (Return Voltage Method) for the assessment of the degree of aging or insulation moisture content in machines and HV cables, as well as paper-oil insulation. In the case of transformers insulation, the method is used primarily for determining the degree of moisturizing, as the dominant time constant is determined mainly by the processes taking place at the interface between the pressboard and oil, mainly depending upon the water content of the paper and the temperature of the insulation. The original test method, developed by ENERGO-COMPLEX, for measuring the moisture level in transformers is the joint measurement “RVM-PDC”. It is based on a determination of the amount of water in the insulation using two different physical phenomena. The first is the process of polarization (RVM), and the second DC conductivity (PDC). The measurement of both processes occur simultaneously during the standard measurement of RVM. During the first two steps of recovery voltage test procedure there are measured time characteristics of charging current and depolarization of the insulation system. On their basis conductivity of the cellulose present in the paper-oil insulation is determined. For impregnated pressboard it depends only on the degree of moisture and temperature, therefore with a help of exemplary characteristics it is possible to estimate in a simple way the percentage amount of stored water. The joint measurement “RVM-PDC” makes it possible to minimize measurement errors and significantly improve the accuracy of moisture content estimation of paper-oil insulation. It is particularly suitable for the measurement of transformers characterized by a lack of thermodynamic equilibrium of moisture levels in the oil and paper. This issue affects, among others, measurements after production processes, after drying the active part, as well as units having aged and heavily moist insulation. The impurities resulting from oil oxidation processes and degradation of cellulose, during long-term operation of the transformer give rise to a colloidal suspension in the electroinsulating oil. Over a certain impurities concentration, they precipitate in the form of a layer of sludge on the elements of the active part of the transformer. In addition to the chemical reaction and a reduction in insulation resistance, above all they cause reduced cooling of the active part. 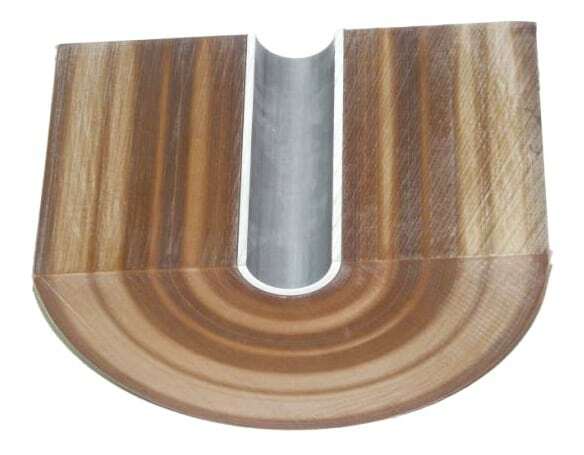 The oil channels cross-section inside the coils is reduced and a heat-insulating layer of surface contaminants result in increased winding temperature. 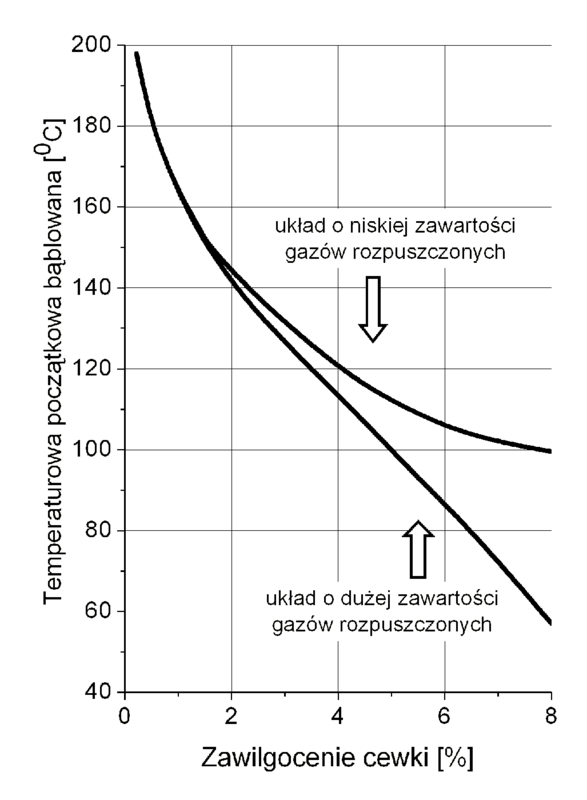 The typical example of such a situation are increasing signs of low-temperature overheating coming from DGA, despite the relatively low temperature of the oil indicated by thermometers. This leads to a very rapid thermal degradation of cellulose. Currently used direct method of sludge identification is mainly based on visual assessment carried out during the internal inspection of the transformer. This procedure requires a lot of equipment, logistics and technical resources, especially for units with high power rating and also a long-term disconnection of the transformer from the power supply. Another well-known, the indirect method is long-term analysis of changes in the physicochemical properties of the oil. ENERGO-COMPLEX applied a novel method to identify sludge on the solid insulation of transformers. It is the result of studies on the electrical and chemical processes related to sludge deposition. The formation of sludge on the surface of the insulation fundamentally changes the morphology of the “oil-pressboard” interface. These changes affect the dielectric response of the insulation and can be observed by measuring with the RVM method. On the other hand, generally they do not affect the DC conductivity of the pressboard. The analysis results of the measurements of cellulose DC conductivity and the RVM with joint measurement “RVM-PDC”, with taking into account the physicochemical properties of the oil allows to identify the presence of sludge without the need to perform the internal inspection of the transformer. The advantage of the method used by ENERGO-COMPLEX is its high sensitivity and efficiency, and simplicity in implementation. On the other hand awareness of the presence of deposits on insulation is particularly useful when planning renovations and repairs of transformers after a long period of operation. It enables to more accurately assess the real condition at a significant financial cost savings. The timely detection of winding deformation can prevent major accidents. It is also useful in the rational planning of repairs of operated units and thus allows to optimize the costs of their operation. The leakage reactance measurement at network frequency, used for many years, does not allow to detect local shifts of windings due to insufficient sensitivity. 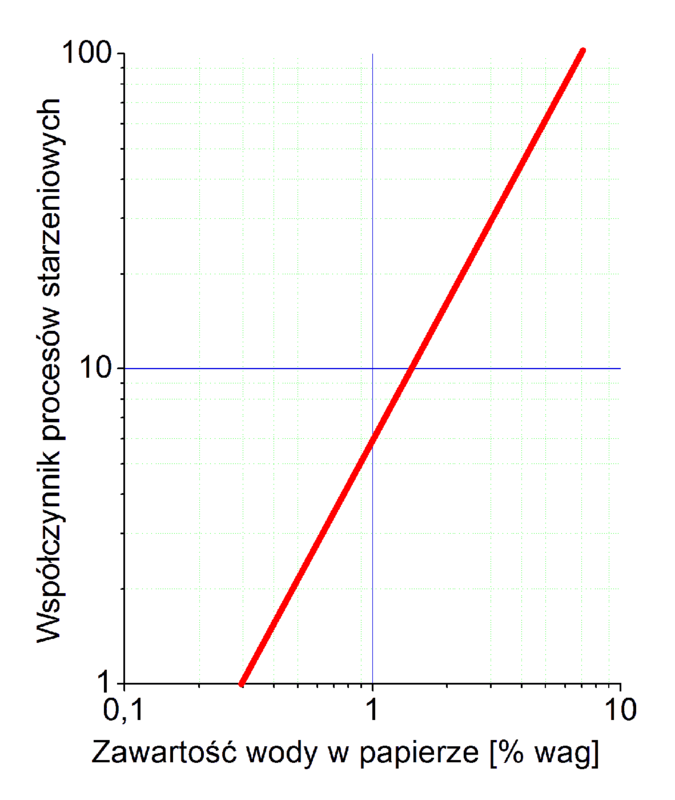 Such a possibility is given by method based on the transfer function of the winding recorded over a wide frequency range (SFRA method). Considering winding of the transformer as a network of RLC elements, it is clear that each winding has a characteristic frequency response. It is a unique identification (“fingerprint”) of given winding, determined by its construction, geometry and arrangement. Any shift or deformation of the winding are likely to affect capacitance or inductance, and thus will change to some extent the response. Frequency response analysis method applied in practice is based on the registration of the voltage at the end of the winding, which is a response to sinusoidal voltage signal in the wide frequency range, which is given on the beginning of the winding. The application of SFRA method allows for detection of existing large axial and radial deformations in the winding. However, it is not possible to identify loose winding or clamping problems of windings and fallen spacers if they do not cause changes in the geometry of the windings. ENERGO-COMPLEX for detection of deformations and loose windings, apart from SFRA method, also uses the vibroacoustic measurements VM in the form of a complex method “FRA-VM”. 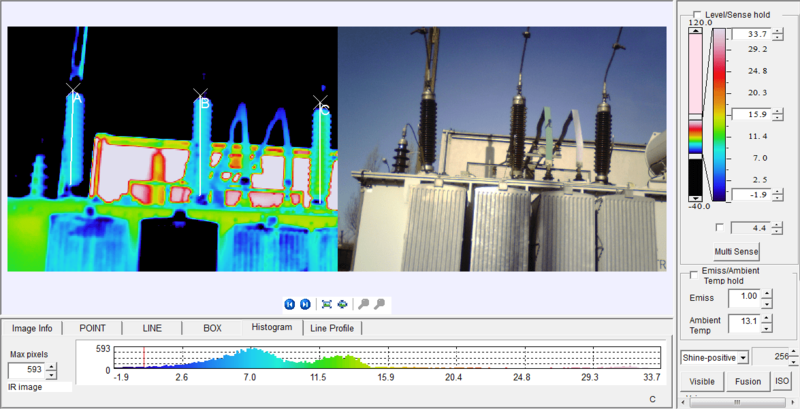 Simultaneous VM tests allow to get significant progress in identifying defects and assessing the mechanical condition of the active part of the transformer. Especially in the case when deformations of windings are small, or when the core/windings are loosened. Such faults can be identified on the base of vibration analysis of the tank. Described advanced methods of vibration analysis allow for separate analysis of the technical condition of the core and windings. 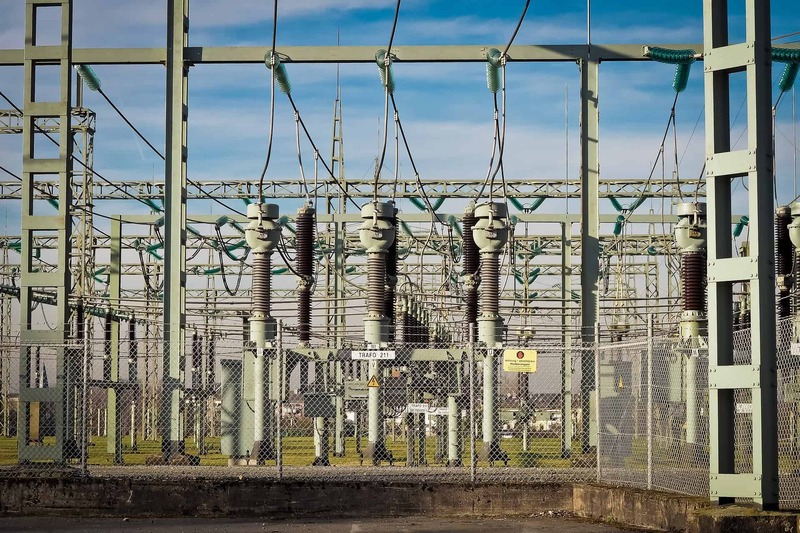 In the aged population of transformers the insulation degradation processes take place not only in the active part of the transformer, but also in the insulation of high voltage bushings, and their failure can lead to complete destruction of the transformer. To prevent this, bushings diagnostics is obligatory for many operators of transformers. Current diagnostics is based on the measurement of capacitance and the tgδ at network frequency (50 Hz), which is not sufficient. This measurement is carried out at a voltage much lower than the operating voltage and at the temperature of the bushing’s core different from its operating temperature, and thus is not sensitive enough to identify the initial stage of degradation of the insulation system. On the other hand, experience has shown that just two hot periods of spring and summer are enough for aging processes to change intensity from the initial phase the advanced critical stage for RIP or RBP insulation. A much better way to identify defects are measurements of the capacitance and dielectric losses coefficient tgδ in a wide frequency range. However, they require depowering tested unit. Practical experience shows that in some cases it is impossible. Therefore ENERGO-COMPLEX bases the assessment of the bushings condition and its further operation of the infrared measurement of its temperature. It allows, in addition to the head diagnostics, also measure the surface temperature of the porcelain shell. The application of advanced analysis of the thermal field generated by the bushing allows the calculation of temperature distribution inside the insulation and the evaluation of thermal aging processes. In the bushings’ core temperature may reach a value of 100÷130°C. In such conditions, the bushings with weakened insulation may explode even after a few weeks. Therefore the possibility of a simple and fast test under operating conditions is very important. 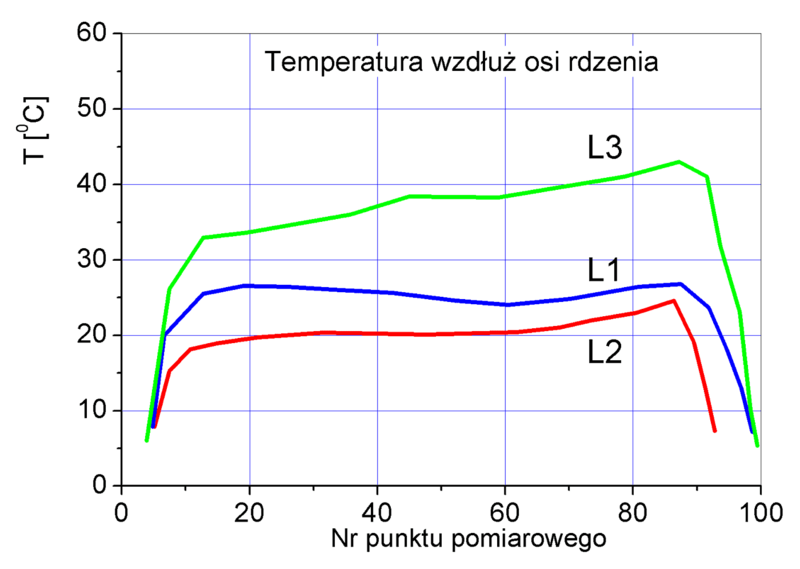 Thermal measurements complemented by an analysis of the temperature distribution are a great tool for early diagnostics of technical condition of all types of bushings. 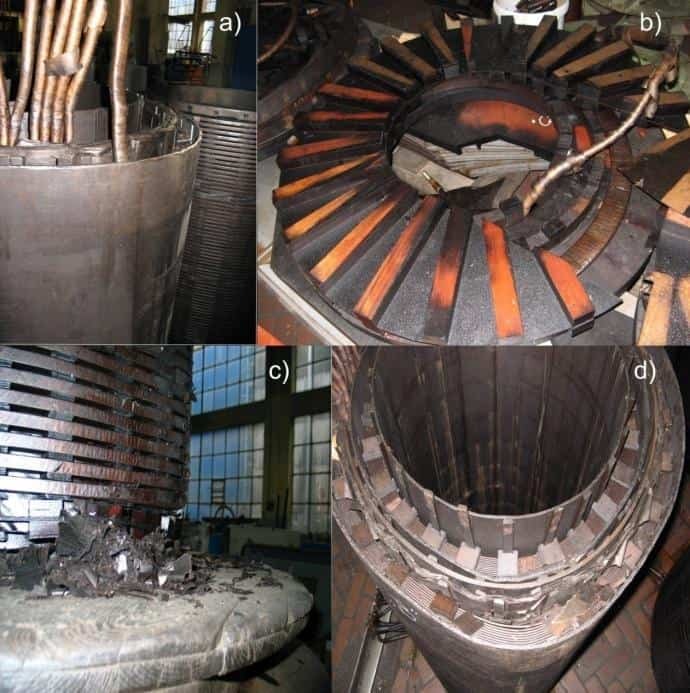 Diagnostics based on dynamic measurements of the dielectric losses coefficient, capacity and the absorption coefficient opens new perspectives in the early warning of developing defects, and its use significantly reduces the failure rate of transformer bushings.